At Phillips and Chestnut we know first-hand how rewarding and deeply satisfying it feels to add pieces to your home that you have created yourself. To walk by a piece of painted furniture and think “I did that”, or to pass a wall-hanging and whisper “I can’t believe I made that!”, knowing that that piece is unique to your home only. We love helping our customers experience those same feelings! We have our own home-decorating philosophy (ask us about it in-store!) and we know that for some, taking the DIY plunge on a larger level can absolutely be intimidating. But please know, WE ARE HERE FOR YOU and you can totally do it too! We have carefully chosen the two paint lines we carry, knowing they produce gorgeous results while protecting you and the environment! Our Canadian-made, VOC-free paints are produced using high-quality ingredients and boast some awesome accompanying products to help boost your creativity to the next level! Fusion™ is a VOC-free, 100% acrylic, water-based furniture paint - 100% acrylic means it’s super-durable once cured. 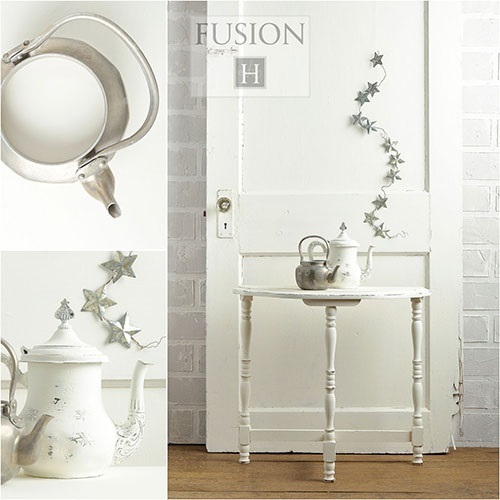 The “Mineral” in Fusion Mineral Paint™ refers to the pigments used which are harvested from the earth. Using natural rather than synthetic pigments allows for greater depth of colour and better durability to UV light and time, so go ahead and paint your front door! Our favorite things about FUSION? The incredible coverage, how amazingly smooth it is as you apply it, and the fact that, unlike most other furniture paints on the market, FUSION rarely requires a topcoat. Also, Rose just can’t get enough of the accompanying products – most notably the Metallics, Sandstone Texture for raised stenciling, FRESCO, and *new* Black Wax for aging your finish. Go ahead and Paint it Beautiful! Not working with raw wood? Just add Bonding Agent to your mix to get solid coverage over previously painted or varnished surfaces – no need to strip! 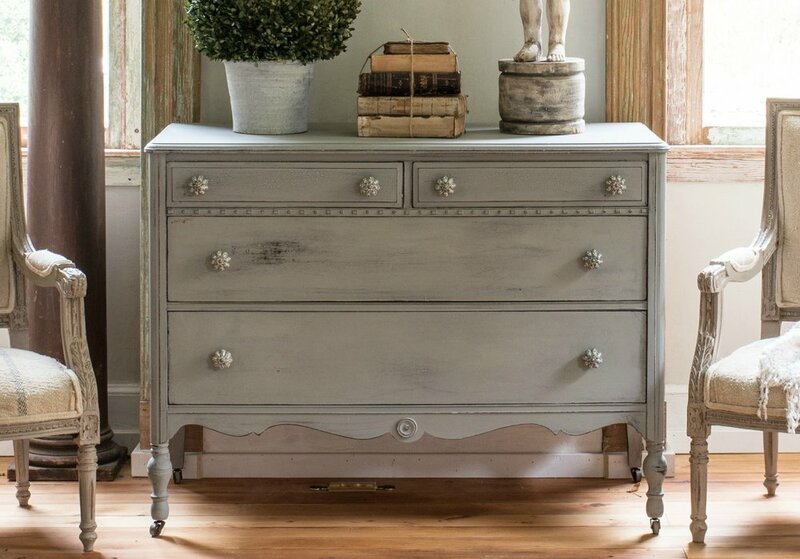 We love the Old-World look and feel of Milk Paint – and no doubt since it is the oldest paint in the world. We also love that it is 100% all-natural and that true matte finish is to die for! Milk Paint is super for creating a distressed look, so easy and smooth to sand. You can also get other aged looks like crackle and the chippy look. And we’ve got to tell you if you are accustomed to applying wax to your painted furniture projects but haven’t used Miss Mustard Seed’s Waxes you are in for a treat! Not smelly, super soft, and super easy-to-use – wax is the #1 topcoat of choice for our workshop students! Get inspired and go on a Milk Paint journey today! To compliment the paint lines we carry we also carry three lines of gorgeous stencils as well as truly beautiful knobs and pulls for dressers, drawers, and cabinets. Visit us to check out what’s currently available.